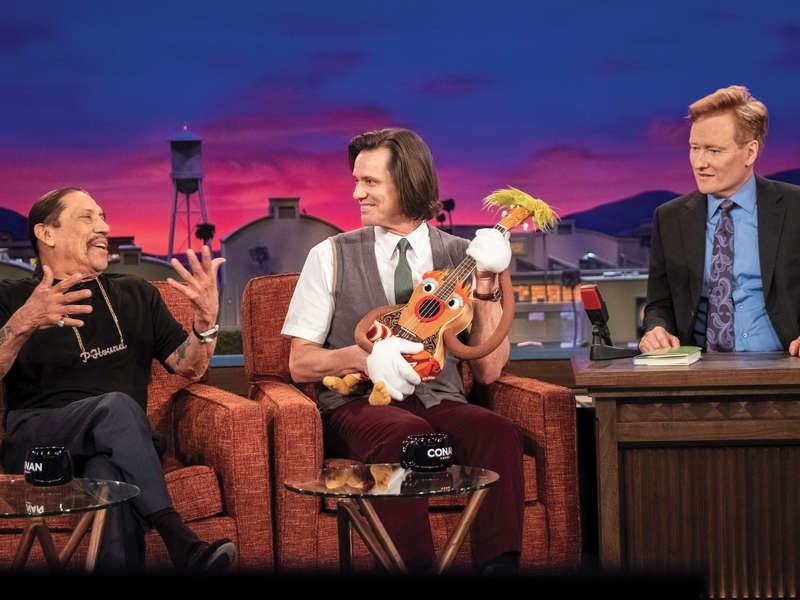 The first episode of Jim Carrey�s new show "Kidding" introduces viewers to the two worlds of children�s television icon Mr. Pickles. There�s the world of the TV show that he hosts with those wacky puppets, and then there�s Jeff Pickles� world that gloomy and all too real that�s too much to handle for him. The show explores the difference between reality and fantasy from the perspective of a man with an optimistic view on everything. It also offers a great actor in a role destined to become one of his greatest. The episode opens with Mr. Pickles appearing on the Conan O�Brien Show promoting his best-selling book. He even brings out one of his puppets called Uke-Larry for a sing-along with the host, guest star Danny Trejo, and the audience. Afterwards, Jeff returns to his apartment to contemplate his current existence being separated by his wife Jill (Judy Greer) and son Will (Cole Allen), while he�s still mourning the death of his older son Phillip. There�s a subplot involving Jeff�s sister Deirdre (Catherine Keener), who designs and performs the puppets on the show. She tries to get her daughter Maddy (Juliet Morris) to eat her broccoli and punishes her by taking away her bathtime. But her daughter�s reason leads to a shocking revelation involving her husband. Then there�s Will celebrating the anniversary of his twin brother�s death by laying a beehive on his brother�s grave. He even starts hanging out with the older kids who gave him a bong to smoke much to his father�s shock. 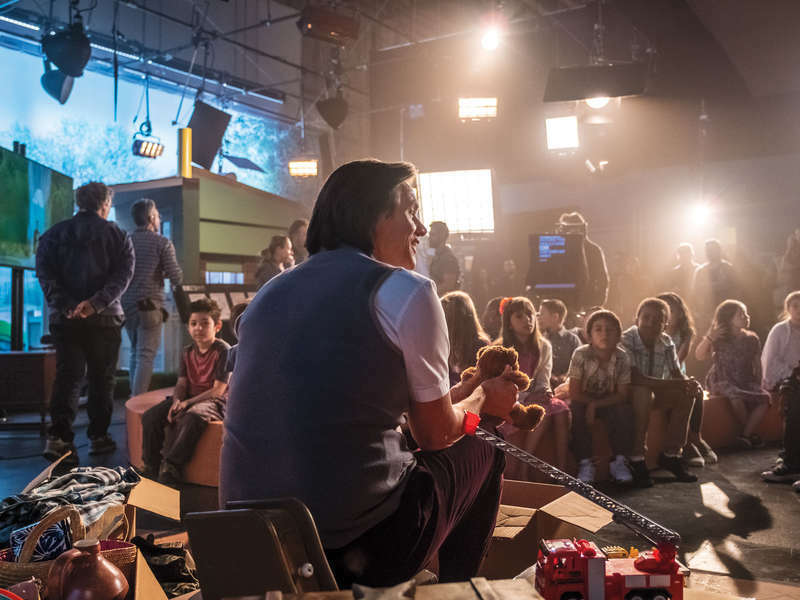 The episode ends when Seb tells his son that the network won�t air the death segment before explaining that he�s merely a product of children�s entertainment and has to act like that. Frustrated, Jeff goes to the bathroom and shaves the top part of his hair off. He also buys a house that�s right next to his wife�s in hopes to get back together with her. But when he sees Jill with her new boyfriend Peter (Justin Kirk), he rips off the kitchen sink in anger leading to what�s to come on the show. When you watch this episode, you get a good idea of what the show is all about. Characters dealing with tough situations, Jeff�s mental state taking a downward spiral, and the effects it could have on a beloved TV show. Add on to the quirky bits of Jeff�s show and his song and you have an interesting marriage of sunshines and rainbows with thunder and rain clouds. But the most important thing and the real reason everybody should watch the show is Jim himself. Here, the actor utilizes his past experiences mixing comedy and drama to create a character full of happiness and optimism in an unstable world. When you watch him shift through different emotions like pent-up anger followed by a calming smile, you believe his every word and thought. It�s a true testament to how an actor can pull off such a performance flawlessly without breaking a sweat, and this performance is easily the turning point in a great career of performances we�ve been waiting for. It�s only the first episode, but we�ll see how it goes from there once Jeff walks back to the set of his show a different man. If you�re able to enjoy the show from that first episode, then this is one new series worth sticking around.